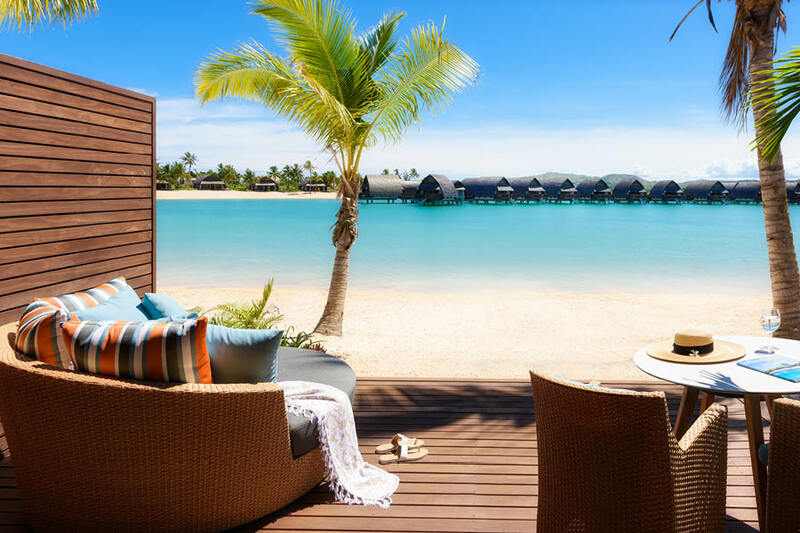 A Fiji Holiday Expert Report! Fiji has long been one of our favourite South Pacific destinations here at My Fiji. From the 5-star luxury at Denarau Island, to the sprawling Coral Coast and all the regions and islands in between, we absolutely love all that Fiji has to offer! Our Fiji Holiday Experts pride themselves on living and breathing Fiji—they know all about the latest developments, the best activities to try out and where to go depending on who you happen to be travelling with. That’s why, when the opportunity arose recently to head over and check it all out again, it was an offer too good to pass up! Saying Bula to Fiji was a blast. The team were a mix of seasoned Fiji lovers and newbies who had always wanted to go and the whole trip went off without a glitch! The Virgin Airlines flights were quick and direct and the welcoming faces waiting to greet them at the airport instantly drew everyone into the island spirit! This being said, “island-time” didn’t have a chance to catch the team—the 4-night trip saw them staying at the Outrigger Fiji Beach Resort, Fiji Marriott Resort Momi Bay, Sheraton Fiji Resort and the Westin Denarau Island Resort & Spa and they saw 7 additional properties*. Despite their busy schedule, our Fiji Holiday Experts have returned to us bursting with renewed knowledge about the stunning island nation! They have some great insights on our key My Fiji resorts, a fresh list of Fiji must-dos and some handy tips and tricks about what to pack! Read on below to find out all about the Bula Trip and contact our Fiji Holiday Experts if you want to know more! 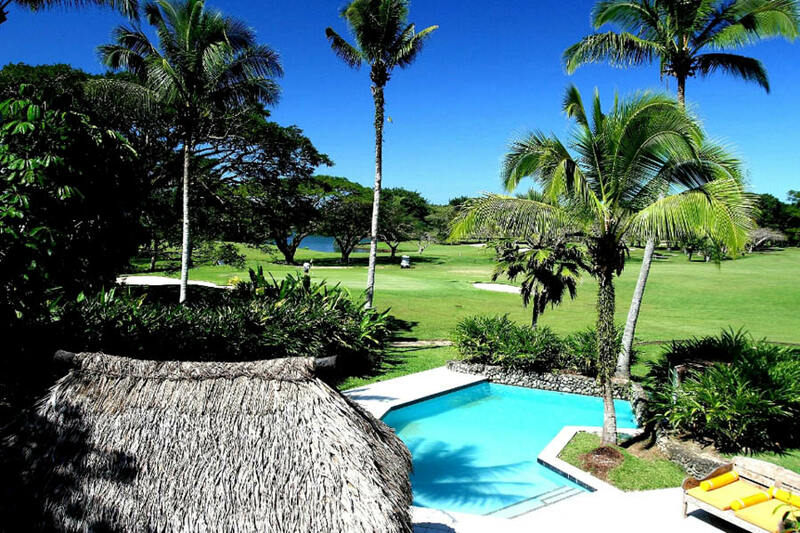 *Additional properties included the Warwick Fiji, Fiji Hideaway Resort & Spa, Pearl South Pacific Resort, Spa & Championship Golf Course, Shangri-La’s Fijian Resort & Spa, Sheraton Denarau Villas, Radisson Blu Resort Fiji and Sofitel Fiji Resort & Spa. **Tours included the My Fiji Island Tour and the Robinson Crusoe Island Night Tour Cruise. The Bula Trip was Kira’s first time in a developing country. She was absolutely blown away by the diversity in the country—the simple, yet happy lifestyle in the villages seemed so different to the luxurious, 5-star resort scene, but somehow it all worked together! Kira believes that this was all because of the people. The Fijian culture was so positive and uplifting, with the people always singing. It’s hard not to be Fiji Happy when you’re around that and it would definitely be the main reason for her going back! Kira’s favourite resort was the Fiji Marriott Resort Momi Bay. From the moment she walked through the doors of her room, she was in love—the facilities were so new and the view of the evening lights dancing on the water’s surface was incredible (she literally dropped her bags in awe!). The food in Fiji was great too. From the freshly prepared local Kokonda at Fiji Hideaway Resort & Spa, to all the meals she had at the Outrigger Fiji Beach Resort’s Sundowner Bar & Grill, Kira would put all of them, easily, into her Top 5 Best Meals of All Time! Take a camera. The views are spectacular! Try a cruise tour. Even if you’re not sure about the boat ride, the performances and sights that are included should not be missed! Denita: Keen to go Back Again! Like Kira, Denita fell in love with Fiji from the moment she landed. The warmth of the people was incredible and she found that, seeing how they lived in the villages, made her really appreciate all that she had back at home! The My Fiji Island experience was her favourite. The tour guide kept the team entertained for the whole tour and it was great going out on the glass bottom boat. Fiji’s water was amazing—from the ocean to the pools, it really made her trip! At the Fiji Marriott Resort Momi Bay, Denita’s jaw actually dropped! The beds were comfortable, the facilities modern, the buffet breakfast was up there with the best and, despite the place being nearly booked-out, it was so big that you barely noticed! The views around the resort were absolutely incredible too, especially from the infinity pool. She took a photo there and couldn’t believe what the screen showed up—there wasn’t a difference between the pool and the beach beyond it; they all looked to be one glorious stretch of clear, shimmering blue! Denita would like to return again, plus she’d also like to tack on a few nights at the Radisson Blu Resort Fiji (for the vibe and the pool!). Check out the Warwick’s Wicked Walu for dinner and see the reef sharks at night. Dine at the Outrigger Fiji Beach Resort—the almond-crusted prawns and braised beef cheek are delish! Fiji’s culture really captured Jackie this Bula Trip—from the Kava ceremonies, to the dancing and singing and the welcoming people wherever she went! The laid-back, “Fiji Time” approach taught her to slow down. She quickly forgot her crazy paced life back home and was able to enjoy every moment. To her, Fiji is a place where you can go time and time again and discover something new each trip! This time, it was Pacific Harbour. Despite being on the mainland, the calm and relaxing vibes at Pacific Harbour made Jackie feel as if she was on a separate island. She learnt that it’s a great spot to try a range of soft adventure activities too—ziplining there is a must! Jackie couldn’t pick a favourite resort because they all seemed so good. She loved the adults-only beach club at the Sofitel Fiji Resort & Spa in Denarau and the unique location, incredible view from the infinity pool and brand new facilities at the Fiji Marriott Resort Momi Bay was right up there too! In terms of food, Jackie loved that all of the resorts seemed to cater for everyone, from casual dining to a la carte! Her favourite meal was an authentic Indian dish at Indigo, Port Denarau. The Port is also a spot that she’d love to return to so that she can take a boat out to explore the culture and landscapes of the Mamanuca and Yasawa Islands. Pack bathers, sunscreen and insect repellent. Make the most of the sunrise and sunset—ask the resort staff where you can best enjoy them and they’ll happily help! Rachel: A Great Place to Try Water Sports! The Bula Trip gave Rachel the chance to give everything a go! She discovered the peace and tranquillity at the Pearl South Pacific Resort, Spa & Championship Golf Course, marvelled at the crystal clear waters and off-the-beach reefs at the Warwick Fiji and tried snorkelling and stand-up paddle boarding (SUP) for the very first time on the My Fiji Island tour. 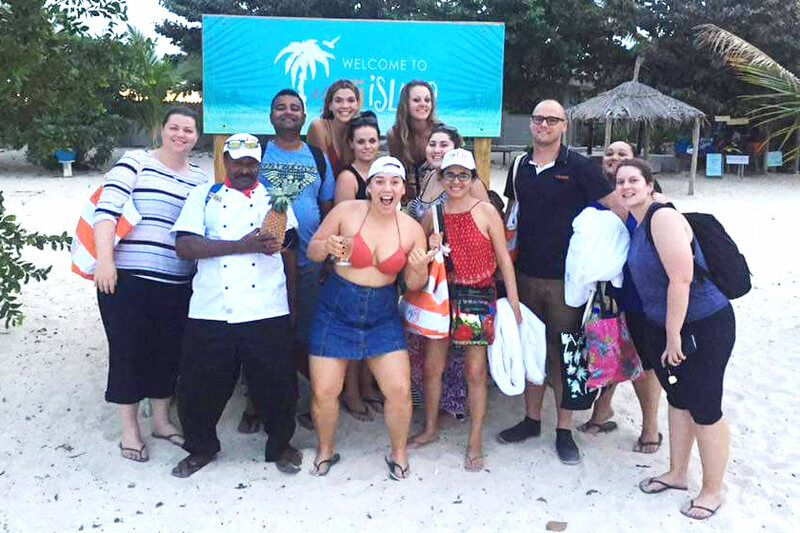 The privacy of the tour really appealed to Rachel—the fact that the island was reserved exclusively for the team and the My Fiji guests added that extra special element to all of the great activities and food provided there! Rachel also really liked how the Warwick Fiji wasn’t as spread out as the other Coral Coast resorts. The split style (into adults-only and family-friendly sections) appealed to her and, she thinks, it would to a lot of the guests as well. There were also plenty of stunning grassed areas for kids plus activities available for all age-groups. What surprised Rachel most this Fiji Bula Trip was the sands at Denarau. She had heard rumours about the black sand and wasn’t sure what to expect—it was no way near what she’d imagined but was actually much nicer! Rachel would go back to Fiji in a heartbeat. The nice people, water sports, relaxation and warm weather made it one unforgettable trip! Give the water sports a go! Try the buffet at the Sheraton Fiji Resort. It’s themed each night and has heaps of variation for kids and fussy eaters. Ashley: Sunrises and tours = 10/10! 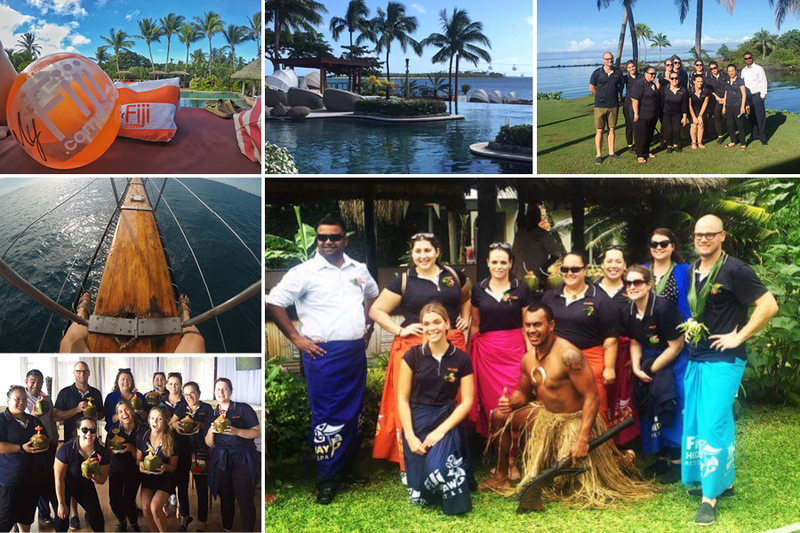 Ashley’s Bula Trip was characterised by beautiful sights, incredible flavours, outstanding tours and the local Fijians, who captured her heart! The Fijians are the most friendly, kind-hearted people she’s ever met. She says that you’ll never walk past someone without receiving an exuberant Bula! and a big smile and, for that alone, she would definitely go back. There are many other reasons for Ashley’s return though. 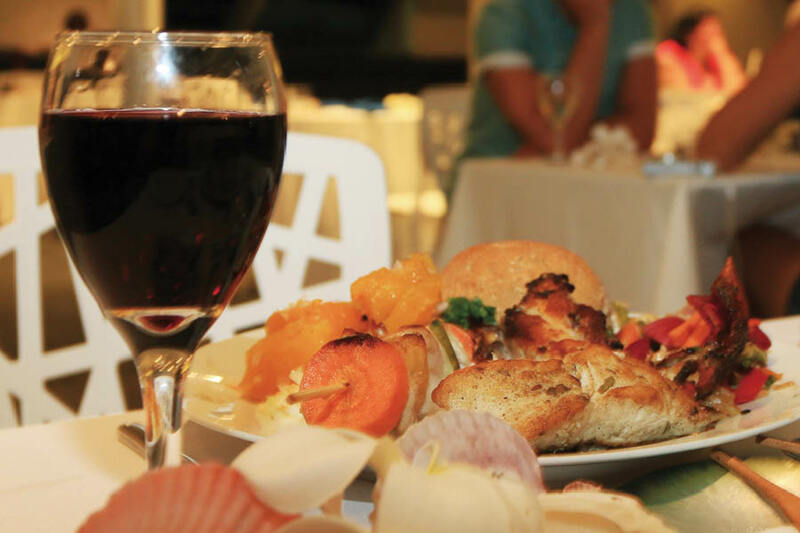 One of them is the well portioned food and great service at the Outrigger Fiji Beach Resort’s Sundowner Bar & Grill. A must-try there is the Kokonda—this citrus-marinated fish dish is served with fresh coconut milk and garnished with spring onion and capsicum (yum!). The sights Ashley enjoyed were predominantly at the Fiji Marriott Resort Momi Bay. Watching the sunrise reflecting over the lagoon at night was second-to-none and the views near the inlet to the lagoon were absolutely breathtaking! The resort, on a whole, really blew Ashley away. She enjoyed being able to see the whole resort looking out from the lobby and the water-facing rooms and bures really enhanced the massive resort’s wow-factor! Ashley was pleasantly surprised by both of the tours—from the Aussie treats, plush My Fiji merch and complimentary activities at My Fiji Island, to Robinson Crusoe’s sizzling night under the stars with bonfires and fire-dancing; a 10/10 experience all round! Immerse yourself in Fijian culture! Taste a local dish, visit a village and participate in a traditional Kava ceremony (you won’t regret it!). Pack your camera or Go Pro—there are so many picturesque locations and you’ll want be able to remember all those cherished holiday moments! Natasha: Rebooked to go Back! Natasha loved the Bula Trip so much that she’s already booked to go back in November! Fiji’s relaxed vibe really appealed to her—the “no hurry, no worry, Fiji Time” attitude was so unique and the people were willing to go out of their way to make sure everyone was enjoying themselves! Tash loved how this vibe filtered through the whole country. No matter where she went, she felt welcome and everyone was so nice! There were 2 stand out resorts for Natasha on this trip—the sunrise and view out across the ocean from the infinity pool at the Fiji Marriott Resort Momi Bay should not be missed and the upgrade to the Waitui Beach Club (adults-only) rooms are a great way to feel extra exclusive at the Sofitel Fiji Resort & Spa! Natasha’s favourite thing to do this trip was the Sigatoka River Safari. The amazing day tour included a village tour and she was able to see how local Fijians live. On My Fiji Island, she loved the snorkelling and activities—it was a great way to get a taste for the outter-island life! Her top tip for those wanting some great food is to try out the Sundowner Bar & Grill at the Outrigger Fiji Beach Resort. Order the steak and enjoy looking out over the water as the sun goes down. Pack something warm for the cooler nights. 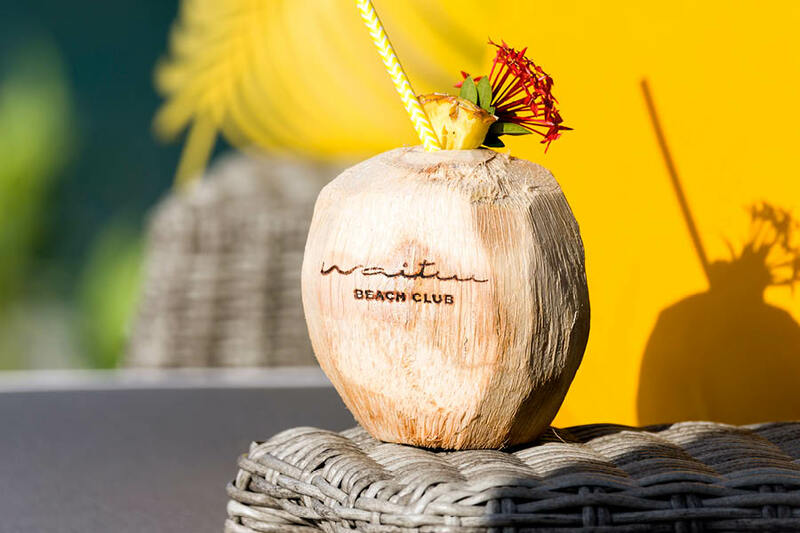 Try the Long Island Ice Tea at the Outrigger Fiji Beach Resort! Ellen: Free Yourself from the Daily Rat Race! Fiji was magical for Ellen! Her favourite thing to do on the trip was to get up early and watch the sun rise over Momi Bay. 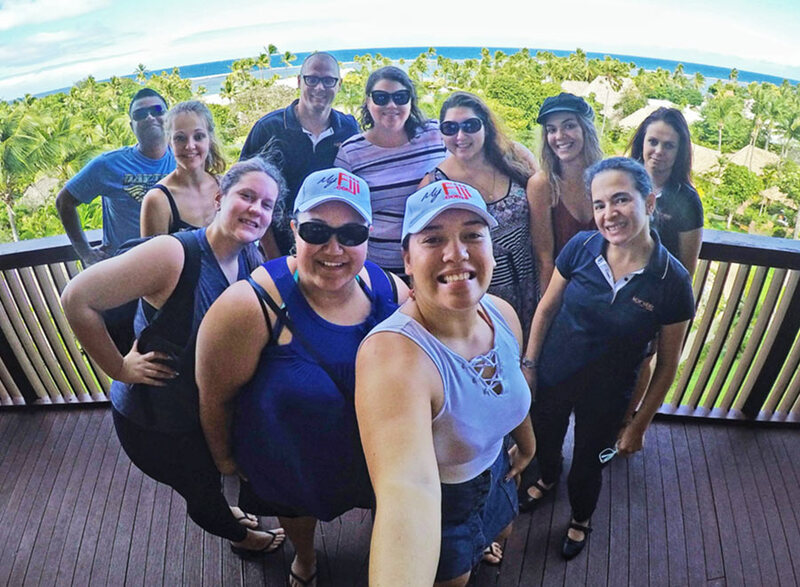 The My Fiji Island tour was also a winner—the staff made the whole team feel so welcome and they were extremely accommodating to everyone’s needs! The entertainment started on the ship on the way to the island and continued throughout the day. It was first-class. There were so many activities to suit all ages and the buffet BBQ lunch, alcohol and butler service were great. The Robinson Crusoe tour provided great insight into Fijian culture and the fire dancing was exhilarating! 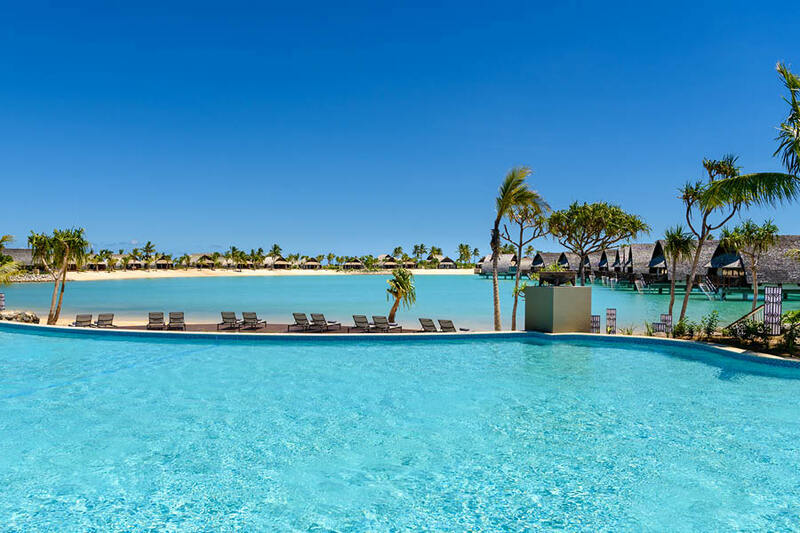 Ellen’s favourite resort was the Fiji Marriott Resort Momi Bay. Not only did this showcase the incredible sunrise, it blew all of her expectations out of the water. The rooms were spacious, the bathrooms were modern, the infinity pool was to die for and the whole layout of the resort was really well planned! The resort’s check-in process and overwater bungalows made it really unique. Everything just flowed, there were plenty of places to sit and relax and the staff were warm and welcoming. 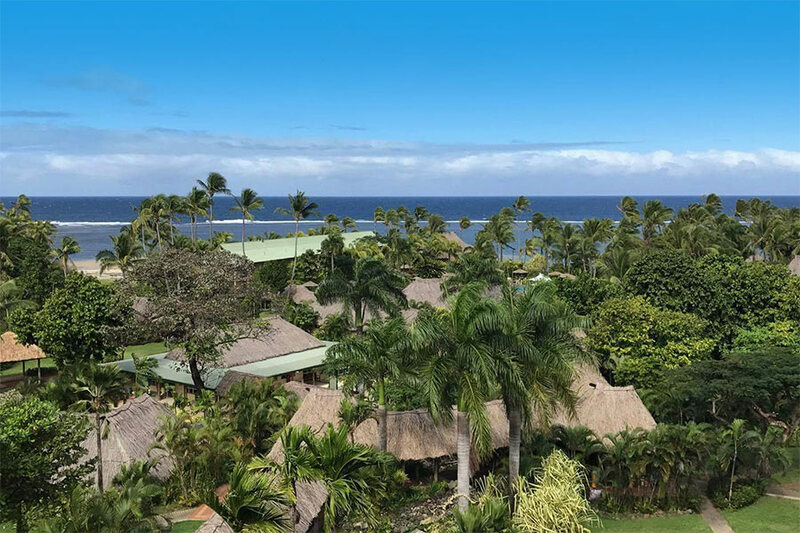 The feel of the Outrigger Fiji Beach Resort also stood out to Ellen—the staff had a knack of making everyone feel right at home and it was a really family friendly resort! Pack light, airy clothes and insect repellent. Enjoy the addictive habit of saying Bula! back. Mikaela: it’s Not Goodbye, it’s Until Next Time! Mikaela can’t speak more highly of her time in Fiji. From the amazing atmosphere at the hotels, to the staff on each of the tours, the views, the food and so much more! Every experience was unique and, wherever she went, something new was waiting to be found. What stood out to her even more, was the beautiful Fijian people. The warmth and culture of Fiji drew Mikaela in from the first Bula! and there were smiling faces everywhere. She even says that when it came time to leave, their warmth continued—it wasn’t goodbye, it was more like “until next time”! 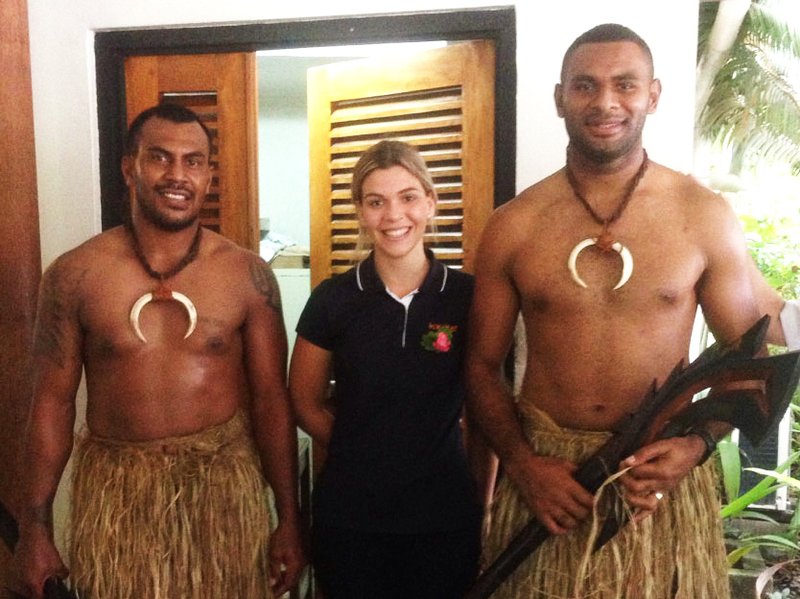 Mikaela’s favourite part of the Bula Trip was the My Fiji Island Tour. She loved the snorkelling, paddle-boarding, kayaking and the FREE massages (! ), plus the food and the staff were two things she would highly recommend. Her favourite resort was hard to pick as there were so many good options around. The Outrigger Fiji Beach Resort, however, will always hold a spot in her heart. The views of the water were incredible, the cocktails were great and the steak at the Sundowner Bar & Grill seemed to melt in her mouth! One thing Mikaela would recommend above all else is some cultural entertainment—whether that be on a tour, in a village or at a resort, it really is second to none! Do a village tour to experience what the Fijians are all about! Take an underwater camera. The snorkelling and reefs are incredible! Dinesh managed to live the complete “flop-and-drop” experience this Bula Trip. Despite his time being filled with meetings and resort inspections, he managed to unwind! 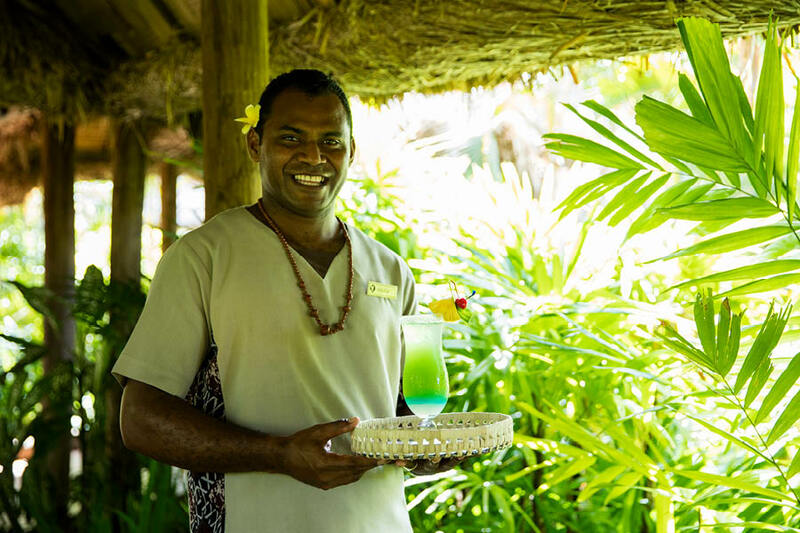 Dinesh quickly found his favourite place—the Fiji Marriott Resort Momi Bay. The brand new resort was absolutely gorgeous. He felt instantly relaxed as he sat in the spa and loved the view from the infinity pool! The breakfast at Momi Bay could also not be beaten. The buffet had choices to suit everyone and it was all cooked with such perfection! Dinesh would recommend a Fiji trip to those looking for a relaxing family holiday. There are activities for the kids, entertainment for the adults and so many ways to completely unwind in between! ALWAYS take a change of clothes in your backpack—Dinesh learnt the hard way that, sometimes, getting up-close-and-personal with Fiji’s stunning clear waters can go a little bit too far! Tim: Slow Down to Fiji Time! To Tim, this Bula Trip didn’t feel like work. He says that you always feel like you’re on holidays when you’re in Fiji and this time around was no different. 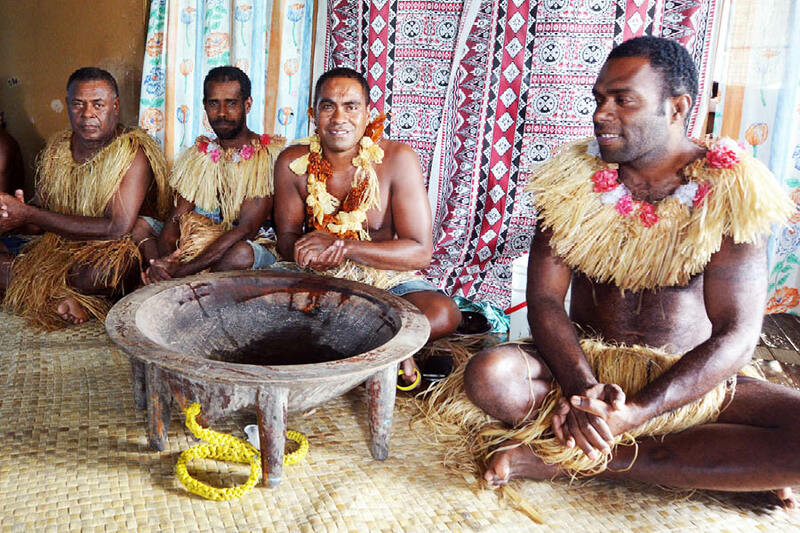 If the relaxed, welcoming nature of the Fijian people at the airport isn’t enough to ease you into the holiday spirit, Tim would recommend a village visit straight up—there’s no better way to get involved with the locals than with a traditional Kava ceremony! Another place to go for the same effect would be the Fiji Hideaway Resort & Spa. All the employees there are from the surrounding villages and they make you feel like one of the family instantly! Tim’s favourite resort this trip was the Fiji Marriott Resort Momi Bay. The view looking out over the ocean from the infinity pool made forgetting reality far too easy and the lights reflecting off the water at night were absolutely breathtaking! The Outrigger Fiji Beach Resort came second. The Sundowner Bar & Grill there had a great view and the steak was one of the best he’s ever had! Tim would return to Fiji in a heartbeat. His first stop would be Momi Bay and he’d spend his time sipping an Espresso Martini (or 2) in the pool! The overwater bungalows there also hold a strong appeal—next time! Prepare to feel like you’re part of the family! Contact our Fiji Holiday Experts to find out how you can say Bula to Fiji!